Ryder System has announced the expansion of Ryder Last Mile, a home delivery solution, in 11 North American markets. The expansion allows Ryder to bolster its e-commerce operations, improve delivery time frames and expand to new geographic markets. “By expanding our existing locations and adding new facilities, we continue to position our customers to meet – and even exceed – the ever-growing demands of e-fulfilment and the increasing expectations of their customers,” said Patrick Coughlin, Vice President and General Manager of Ryder Last Mile. 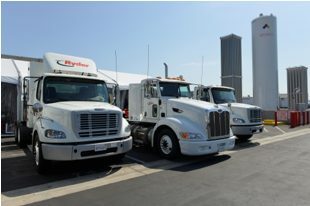 Ryder is planning to enlarge its last-mile fulfilment facilities located in Toronto, Atlanta, Georgia and Lathrop, California. Moreover, the expansion will bring on board further partnerships in eight strategically located U.S. cities. The Ryder e-fulflment network now includes 136 facilities covering 95% of the U.S. and Canada within a two-day time frame. The project is also aimed to strengthen Ryder’s position in the North American road freight market. In order to improve the customer experience, Ryder keeps investing in technology that enables greater visibility. RyderView allows customers to schedule and track orders with photo-capture digital proof-of-delivery, to facilitate a productive claims management program. Also, the new feature signals defects and exceptions, allowing Ryder to give preventive warnings to clients.